Do you need extra resources or consulting services? ‍Learn about what makes a birth certificate official. When preparing for the many milestones in life that require proof of personal identification, don't overlook the need to present an official birth certificate copy. Applying for a driver’s license, marriage license, passport, enrolling children in school and even some jobs often require an official birth certificate copy to be presented.When you think of an ‘official” birth certificate copy, what do you think? Well, don’t think hospital copy or a photocopy from your office copier because that is NOT what the people requesting your “official” copy have in mind. ‍Often, people don't realize that what they consider their official birth certificate is not actually a legal document. The copy given to new parents at the hospital, sometimes with the baby's footprints on it, is meant to be a cherished keepsake but is not valid for official proof of identity. Your original birth certificate must remain on file at the designated vital records agency office of your birth place after being submitted for registration by the attending hospital. This is where the only “original” copy of your birth record is located. This version is kept under lock and key and most people will never see their original. This is done to help ensure your identity is protected. What makes a Certified Birth Certificate Official? The number one difference between official and informational birth certificate copies is a registrar's seal.The type of seal used varies by states, but will be proof that the birth certificate is a government issued, certified document. The seal might be raised, embossed, impressed or multicolored. Most importantly it will be notarized (signed and dated) by the registrar. Certified copies can be used to prove identity for any reason. For example, these copies will be accepted when applying for passports and drivers licenses, among other occasions. Most situations requiring a birth certificate will require evidence the certified certificate copy was issued by the office of vital statistics in the county, city or state where the birth occurred. In general, the notarized document will show the full certificate holder’s name, the date and place of birth and a file or registration date within one year of the birth. Aside from requiring an official birth certificate copy, some agencies will specify whether they want tosee the long or short form. 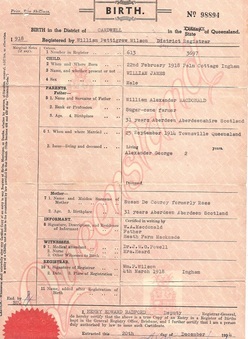 The short form is a computer generated certificate that typically only contains name, birth date, file date. The short form is a certified copy. It may or may not contain the parent’s names. This form is commonly needed to prove identity for licensing, travel or estate purposes. The long form, (which is also usually provided as a certified copy) is generally an actual photocopy of the archived certificate. This version provides everything on the short form (name, date, file date, place of birth) as well as any other information recorded by the hospital, such as parent’s names and occupations, or birth time. The long form is not as commonly needed or available, but is generally used for passport, social security, international adoption or dual citizenship.While it might seem tedious to go through the process of securing a certified, official birth certificate copy, it is for the public's safety that many organizations require it. If a certified birth certificate was to fall into the wrong hands the potential for identity theft damage is significant. This is why it is recommended to keep your birth records and other vital records in a secure area. ‍Is a certificate of birth registration the same as a birth certificate? 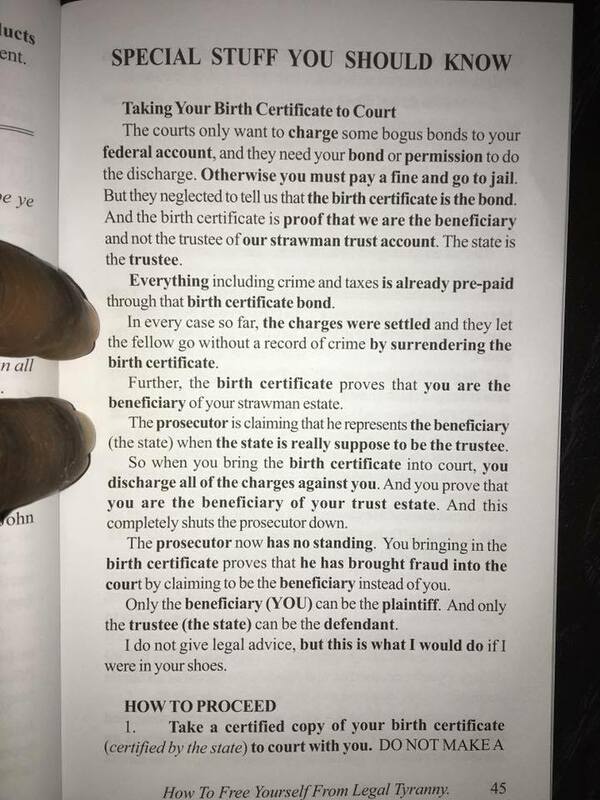 Often, people don't realize that what they consider their official birth certificate is not actually a legal document. The copy given to new parents at the hospital, sometimes with the baby's footprints on it, is meant to be a cherished keepsake, but is not valid for official proof of identity. What does district mean on birth certificate? A registration district in the is a type of administrative region which exists for the purpose of civil registration of births, marriages, and deaths and civil partnerships.It has also been used as the basis for the collation of census information. How old do you have to be to legally change your name? As a child or young person under 18 you can only have your change of name recorded by deed poll by a person who has parental responsibility for you. However, if you are over 16, this can only be done with your consent. What is a short certificate used for? A Short Certificate is a legal document that shows the decedent's name and date of death.It will also show the name of the Executor/Executrix who has been named to handle the affairs of the estate. I would like to get my birth certificate authenticated at the county, state & fed level to claim ownership of myself and that I'm competent to do so. I know that requires an affidavit of truth and I'd also like to get an international passport not subject to any UNITED STATES jurisdiction. 1. Birth Certificate is already certified. 2. Birth Certificate is NOT evidence of who you are. 3. You ought pursue attaining the source document your mum completed that gave rise to the Birth Certificate. That document is evidence of who you are. 4. The Birth certificate is not your property, it's the state's property. 5. You already have ownership of yourself, but if you want documentation, attain the "application for registration of birth" or its US equivalent from your Birth's Deaths & Marriages or its US equivalent. 1. you need to inquire about "the document for the man of the land with no country of permanent residency" This is what a foreign affairs security officer told me. All rights reserved - as only the living have rights to reserve. When I travel internationally, I get better treatment because of how I have signed the passport. It isn't my property, however I have equitable title use and possession rights of it & because of how it is signed, you are treated as a living.